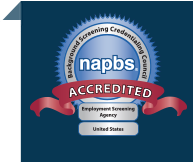 Pre-designed packages make background screening easy. Choose one of our popular pre-designed packages to screen your candidate at the appropriate level. Add extra services as required to gain a more complete view.